Even so, there are certain things about Christmas that I love. I love how cozy it feels and how friendly everyone is. I love that whenever you check out at a store, they say either “Happy Holidays!” or “Merry Christmas!”. I love going Christmas shopping, even during all the craziness of hunting for a parking spot or waiting in long lines. I looove hot chocolate and the smell of Christmas trees. I love the Elvis Presley song “Blue Christmas” because my dad used to play it on repeat right after Thanksgiving until Christmas. My sister and I used to tease him about it but we not-so-secretly loved it. I love seeing all the wrapped gifts under the Christmas tree. I think that’s why I’m so incredibly excited for next year’s Christmas because we’ll have our baby girl with us and we’ll get to decide what Christmas traditions we want to do with her. I can’t wait until she’s old enough to wake us up at 6am to see what Santa brought her. I remember being like that when I was little and loved how magical it felt. One of my favorite traditions from when I was little was having Santa come visit us on Christmas Eve and bring everyone a new pair of pajamas. I remember loving that and, on one particular Christmas Eve, going outside and seeing something flying in the air that I thought was Santa flying away in his sleigh. Looking back, it was probably an airplane flying by but thinking that it was Santa made the experience so much better. 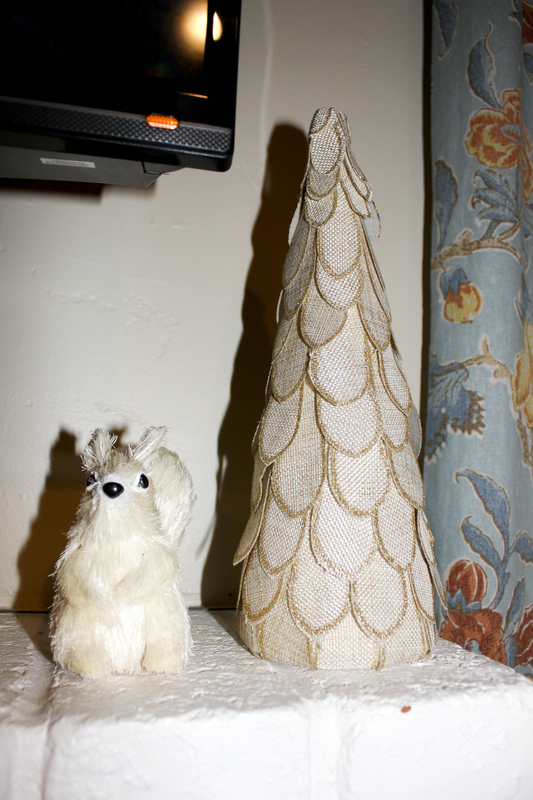 So, back to the title of this blog post, Christmas decorations are another thing. What I dislike the most about them – how long it takes to unpack them and set them up and…even more than that… putting them away after all the fun of Christmas is over. It’s such a chore to do it but I enjoy them for the short time that they are up. I am very very particular about what Christmas decorations I like which is why I’d rather pick out decorations with CJ and buy them ourselves. I want everything to match and to have a certain look to it. I like the types of decorations that are definitely for Christmas but that coordinate with the existing decor in the house. 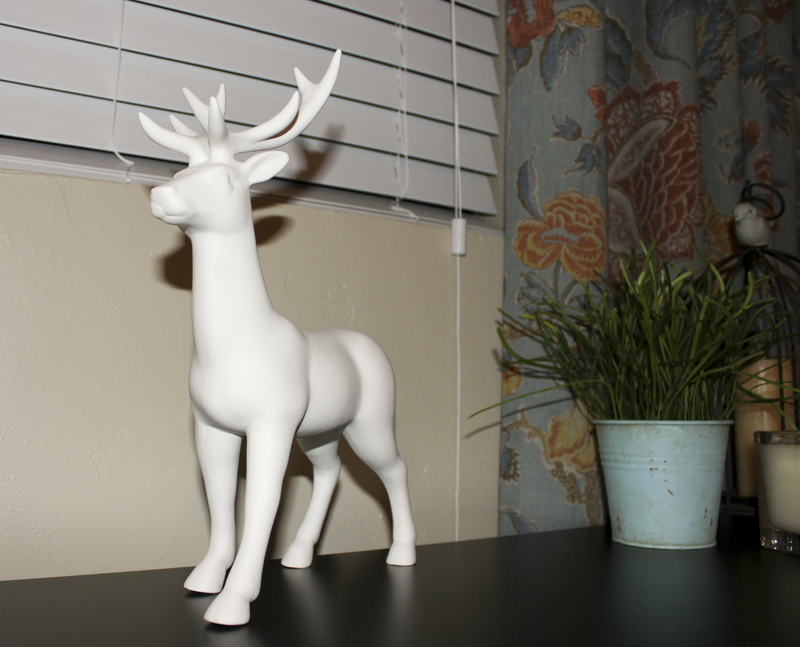 I love rustic decorations that blend in with what we’ve already put in the house. 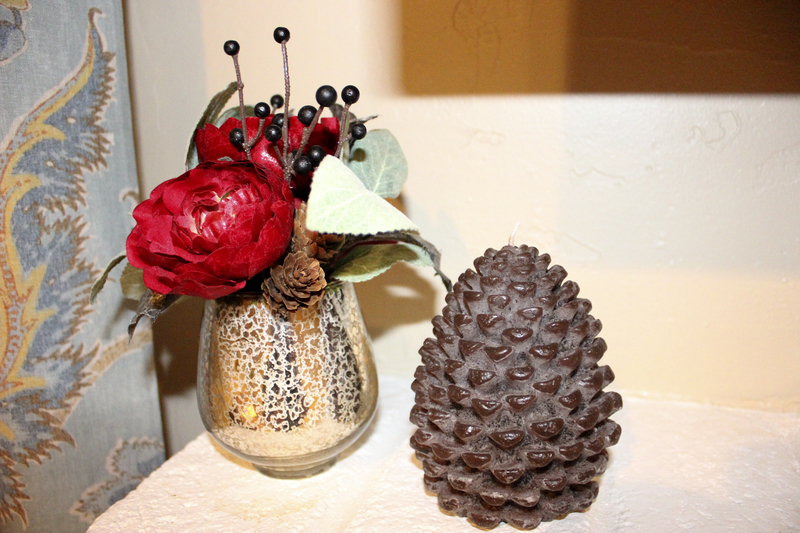 Below is an example of my favorite style of Christmas decorations (from The Lily Pad Cottage). We loooove this. I was inspired by what we saw at Nordstrom so we found some adorable decorations at Target that mirror that same style. 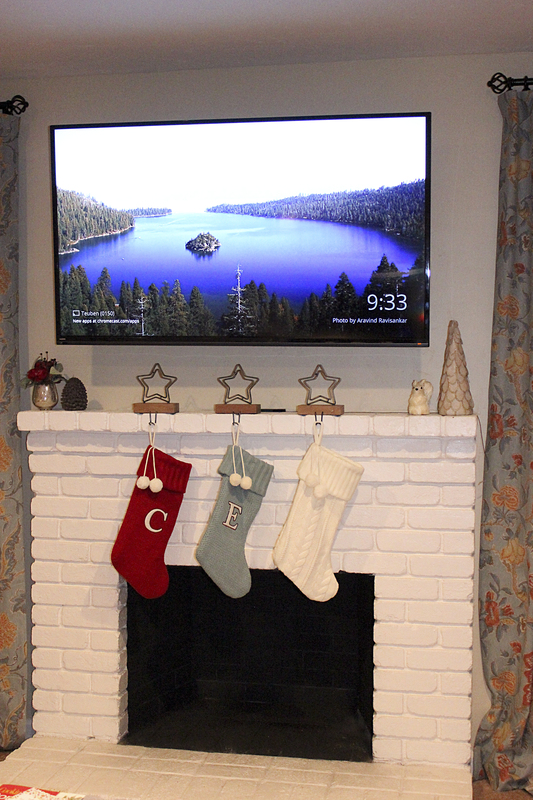 You’ll see them in the photos of what we’ve done on the fireplace mantel. For this year, we only bought a few decorations as we know we’ll build up a supply over time and I really love what we’ve done. 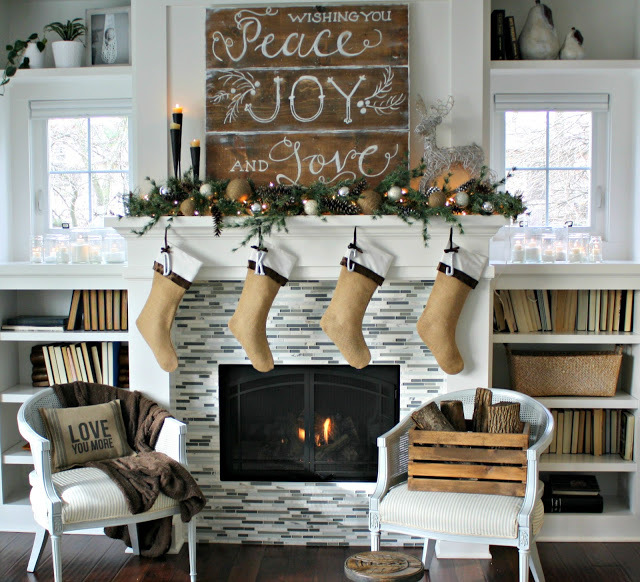 It’s so simple and understated yet definitely incorporates the Christmas feel. I love what we have so much that I’m a little sad to pack them away once the holidays are over. Our Christmas mantel decorations. We have a third stocking for Baby T! We’ll add in her initial next year. I’d love to add some garland on the mantel, we just haven’t found any that meet our standards. 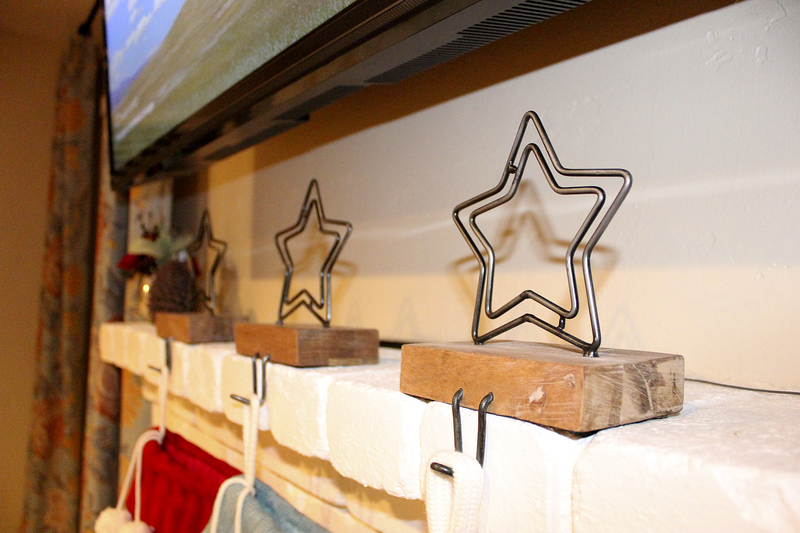 Close up of our adorable stocking hangers – from Crate & Barrel. 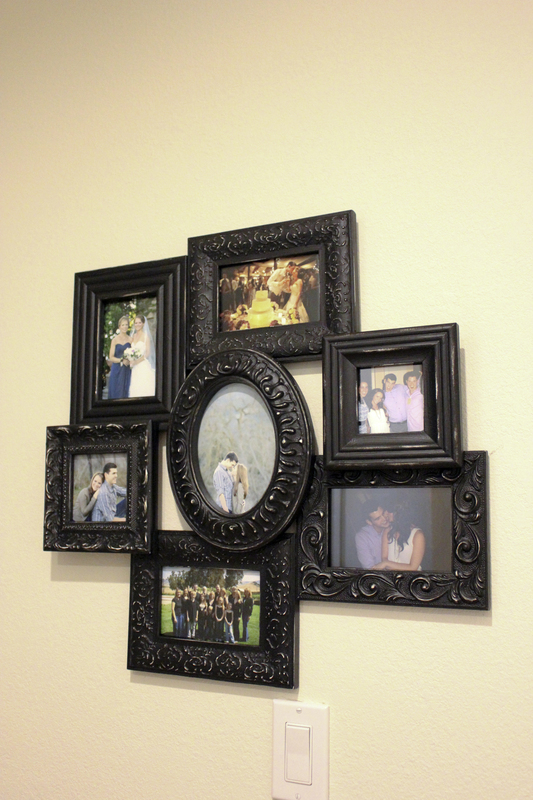 I love that they match the wooden picture frames that we already have in the family room. We still need to do some work on our Christmas tree decorations – I really want all the ornaments to coordinate and for it to look like one of those beautiful trees in a department store (with sprinkles of personalized ornaments that we’ll gather over the years). We’re nowhere near that yet but we’ll get there eventually. 🙂 Our Christmas tree this year is simple yet beautiful, we love it. 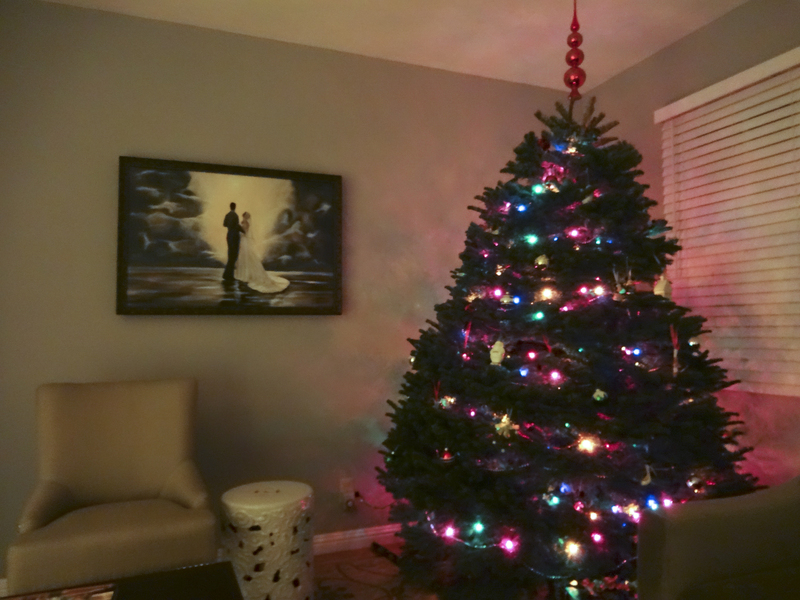 Our first Christmas tree in our home! We (and by we, I mean me – I take all the blame for this) majorly procrastinated when it came to planning our housewarming party. In a week, we will have been homeowners for exactly a year but we finally got around to throwing a housewarming party a week and a half ago. Why did it take so long? Well, I know some people still have housewarming parties when they’re living out of boxes but I really wanted the house to be as close to complete as possible. I know, nothing is ever complete but I at least wanted the house to be fully furnished. I also wanted to make sure that when people saw our house for the first time, they really got a feel for what our home felt like. We’ve changed so much of our house in the past year that it doesn’t even feel like the same space, so I’m actually glad we waited so long to have everyone over. The party went really well – we had a lot more people come than we expected for the Sunday before Thanksgiving and had fun showing off all our hard work. 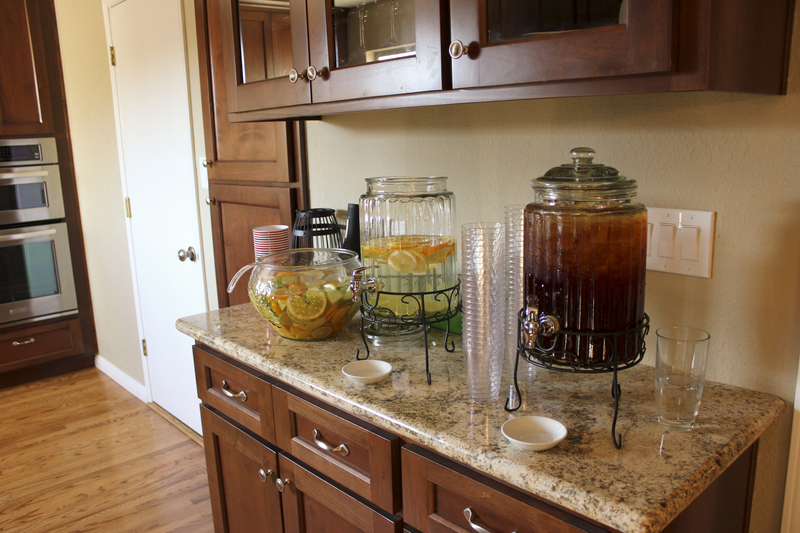 For drinks, we served a white sangria (had to make sure there weren’t any spills on the carpet! ), beer, citrus water, tea, and white wine. 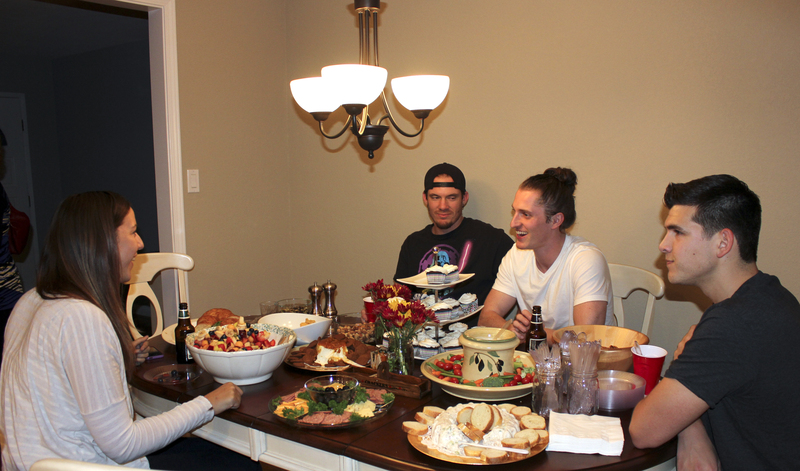 We also had a large selection of food – mini-weenies in the crock pot, croissant sandwiches, cheese and cracker platter, fresh baked cupcakes, fruit salad, and a few more items. I wish we took more photos during the party but these will give you a good general idea of how it went. 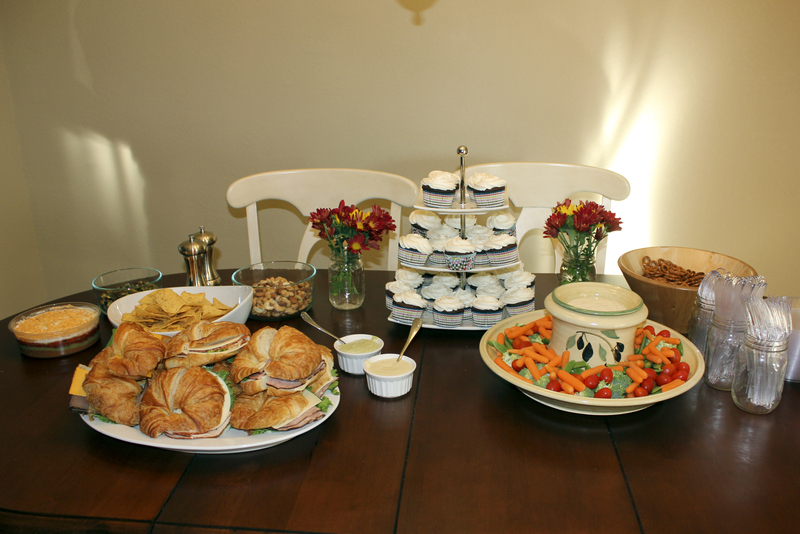 It was definitely a success and we’re so glad we finally got around to throwing the party! Last weekend, Emily thought it would be nice to do a little work around the house. 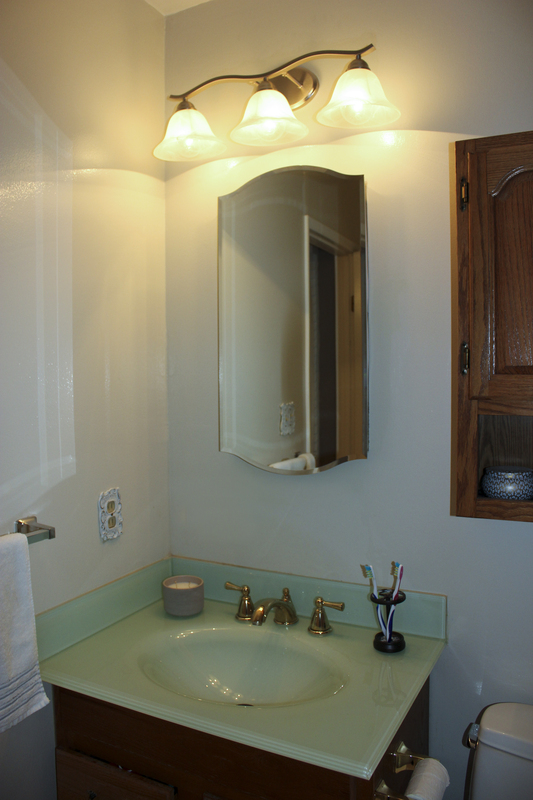 So, with a little help from Larry, we put in new medicine cabinets and new lights in both bathrooms. Easy, right?…no. Larry and I removed the old wooden framed medicine cabinets and measured the holes. Then, off to our favorite stores. We found one we liked so we bought one for each bathroom. First, we stopped for lunch to feed the help (aka Larry). Two sammiches, two bags of chips, and a few cookies later and we were back to work. We fit the first one in the master bath without any problems. 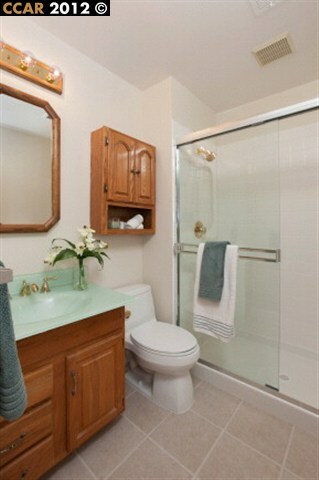 Then, we moved on to the guest bath and, of course, it didn’t quite fit. It was bumping the lights above So what do we do…remove the light (project two for the weekend). At this point, Larry had to go, so Emily and I were off to Home Depot and Lowes for the second run. Two light sets and a replacement medicine cabinet later and we were back to the hard labor. Emily and I replaced the light in the master bath because, at this point, I didn’t even want to deal with the difficult guest bathroom (little pre-madonna). 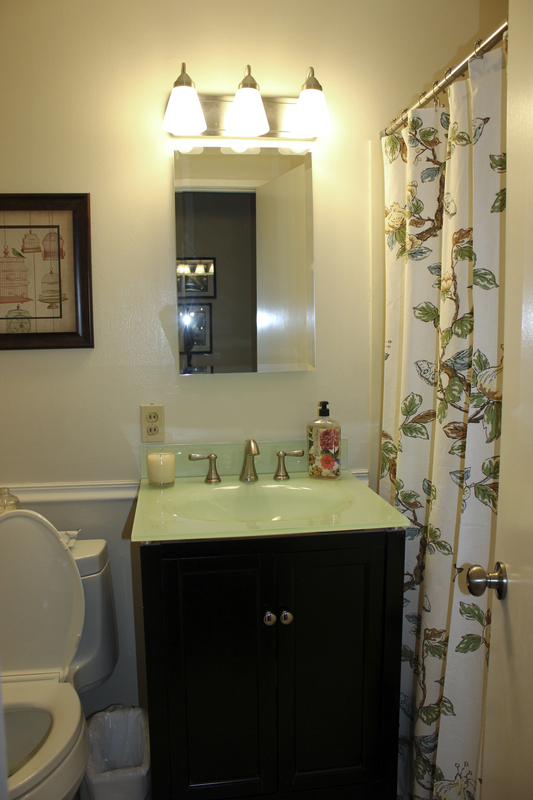 Once the lights were in the master bath, we moved on to the guest bath, put in the lights, and then set in the cabinet. Everything rolling along smoothly no problems. And, you guessed it, with our luck the mirror hit the lights still (this time, when trying to open the medicine cabinet door). Oh yes, back to square one. Day two, we go back to Lowes to buy different glass shades to alleviate our bump-ity bump glass on glass situation. Bam. Done. Looks great. Just to add the icing on the cake for the master bathroom, I removed the little 1940’s toothbrush holder. Much better. I should have taken the photo at the same angle but you get the picture. 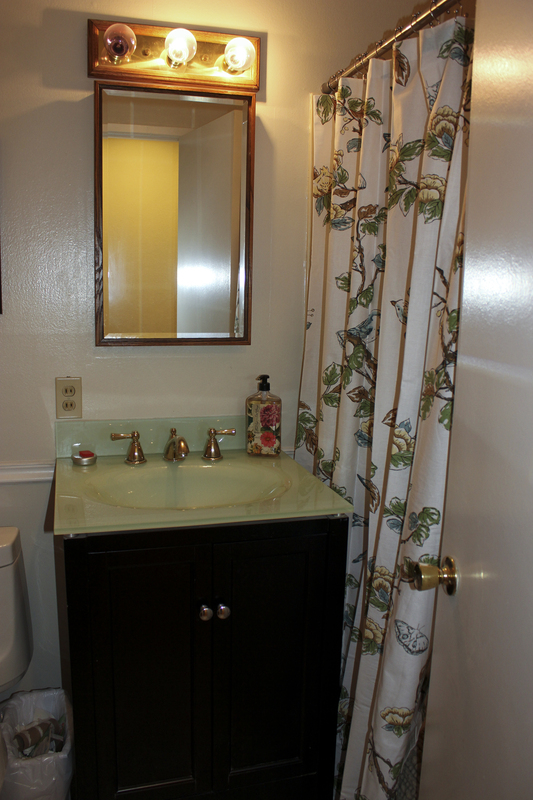 Next up for the master bathroom – staining the cabinets to a dark wood shade, replacing the faucet (to match the guest bath), the shower head, and the toilet paper holder and then we’re done! We want to convert everything to be silver instead of 1/2 silver 1/2 gold. 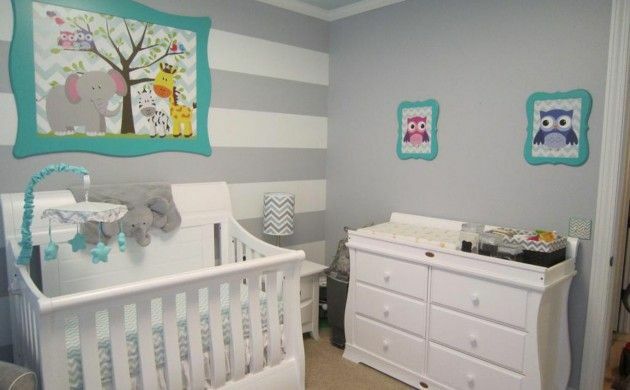 There’s no rush since we have other projects to do in the house to prepare for our little one coming! Oh and just for fun we cleaned, reorganized the office, and added a little fung-shway. 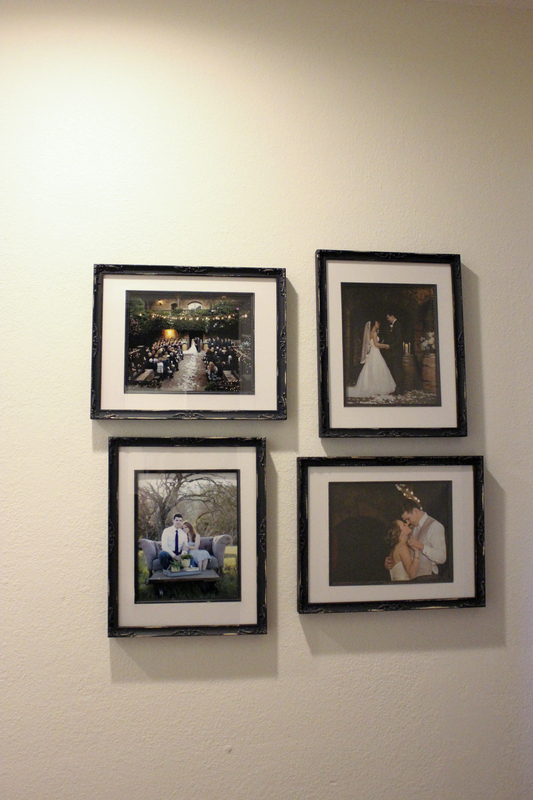 We finally hung up some photos in our hallway! 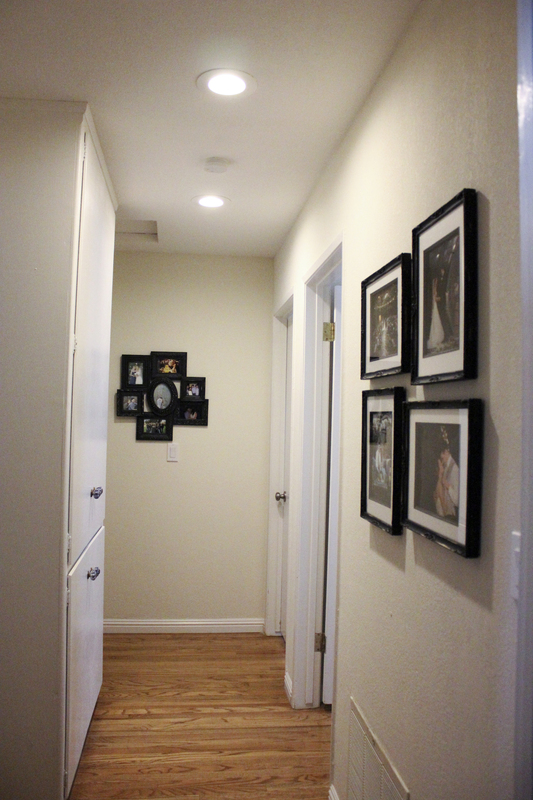 It’s not the biggest hallway in the world but it’s big enough for us to hang up some photos to spruce up the area and make it more home-y. We love looking at these photos each time we walk through the hallway and, personally, they make me smile every time I look at them. It’s so hard to choose pictures to put on the walls and even harder when you also have to choose a frame size and orientation. Portrait or landscape? 5×7″ or 8×10″? What color frames? …etc. So many choices that it can get overwhelming. 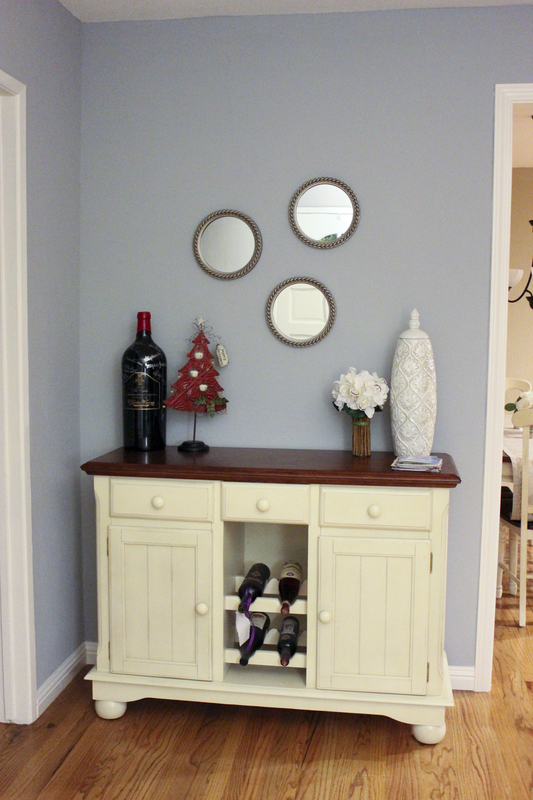 In any case, we really love what we ended up with! There aren’t many areas that “need” items in our house anymore but there’s definitely wall space to hang up pictures and paintings as well as shelf space to put more personal touches. 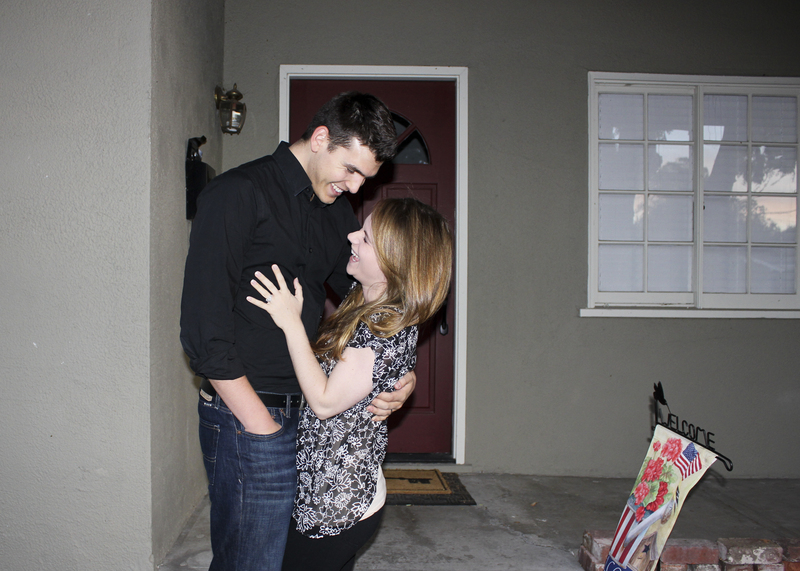 Here’s a photo of CJ and I before we left for our anniversary dinner at Simply Fondue! We would go back for the cheese and dessert fondue courses but nothing compares to The Melting Pot. Wow, I can’t believe it’s already been a year since we got married!!! 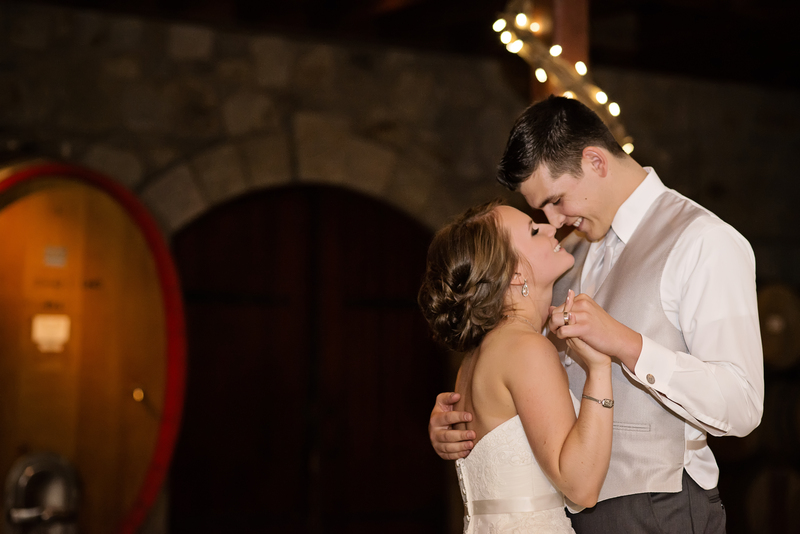 The weekend leading up to our wedding was the best weekend of our lives and our wedding day was simply perfect. Part of me would love to have a yearly reunion with all the people that made our day so special while the other part of me just wants to enjoy the day without having to plan something. 🙂 What made it so special was not just the obvious part – marrying my best friend – but also being surrounded by all the people that we love the most in the world. It meant so much to us to have everyone there to support us and celebrate with us. 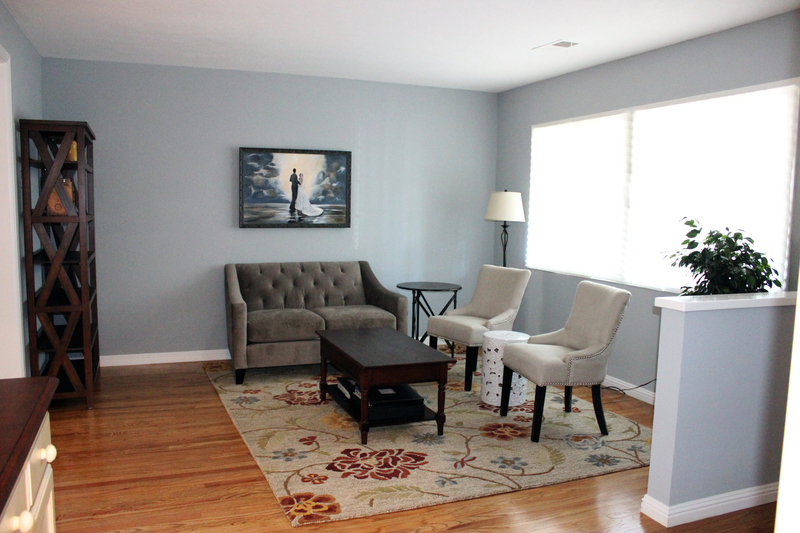 So much has happened in the past year – we bought a house, bought a car, remodeled our house (and furnished it! ), CJ started a new job, started working on our yard, traveled to New York to visit one of our favorite people, visited our dear friends in Northern California to meet their adorable son, went to a wedding, and so much more! We loved every minute of it and can’t wait to see what’s in store for us for the next year (and the rest of our lives!). We know it will be filled with happiness. 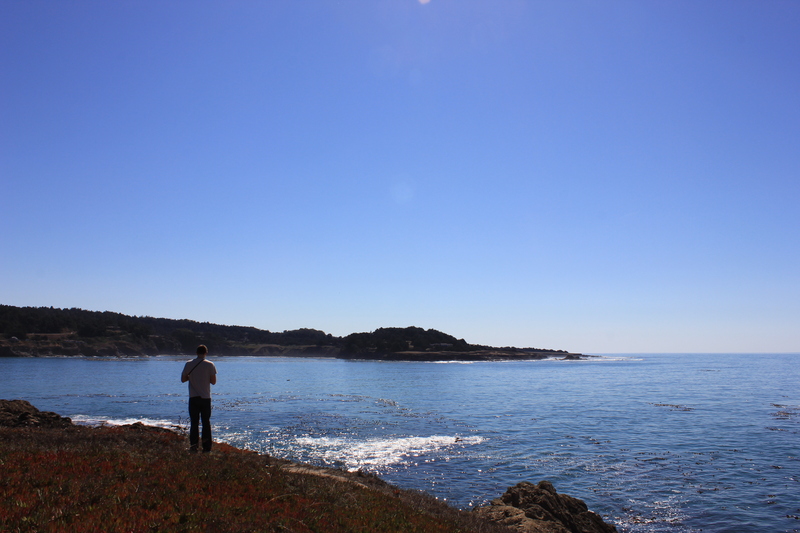 To celebrate our anniversary, we took last Friday off and drove up to Mendocino for a relaxing weekend. But first, we stopped to pick up our 1st anniversary wedding cake and stopped by V. Sattui. It was quite a detour but totally worth it! We rented an adorable cottage in Little River that overlooked the ocean and spent time exploring the area. 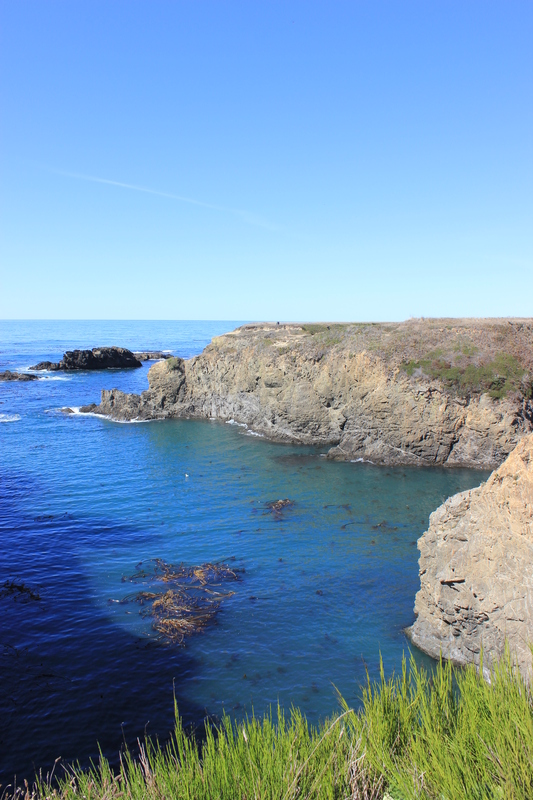 Neither of us have really been to Mendocino before (okay, so maybe CJ has when he was teeny tiny but too long ago for him to remember) so it was a lot of fun to see a new area. 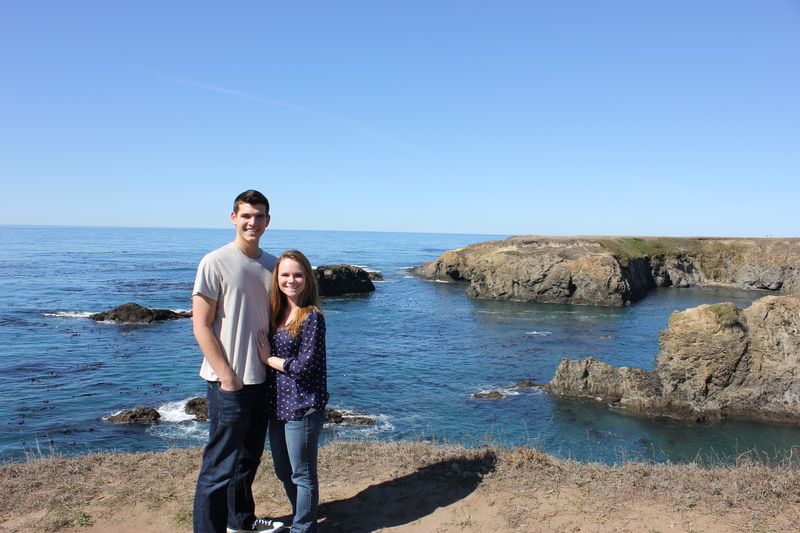 We went hiking around the cliffs, explored the cute little shops, and just enjoyed being together without any distractions. 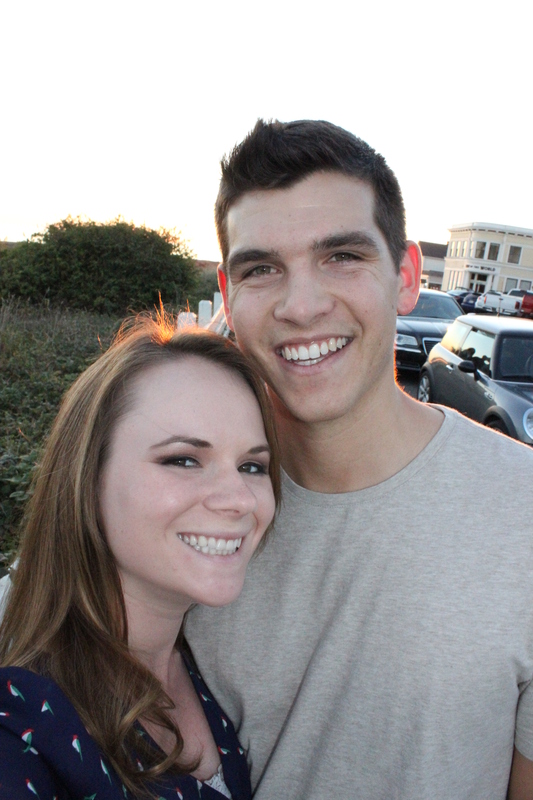 Tonight, we are going out to a fondue restaurant in Livermore to celebrate more. We’ve never been to this place but hope that it’s as delicious as The Melting Pot (my favorite restaurant in the world). 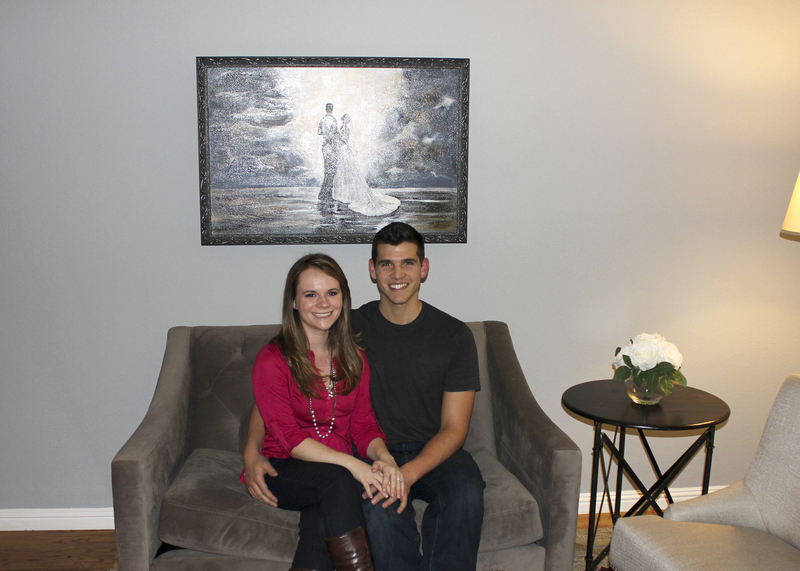 I just realized we haven’t updated you on our formal living room! The room is quite a bit different than the last time we posted about it. Finally hung our beautiful painting! We love how everything has come together! It really feels like a cozy little room now. We love it. I have been super busy lately at work which has shown in the frequency of my blog posts. Not to worry, I’m having a ton of fun and soon enough, I’ll have more time to update you on the changes that have happened in our house lately. I hope you’re all having a wonderful weekend! 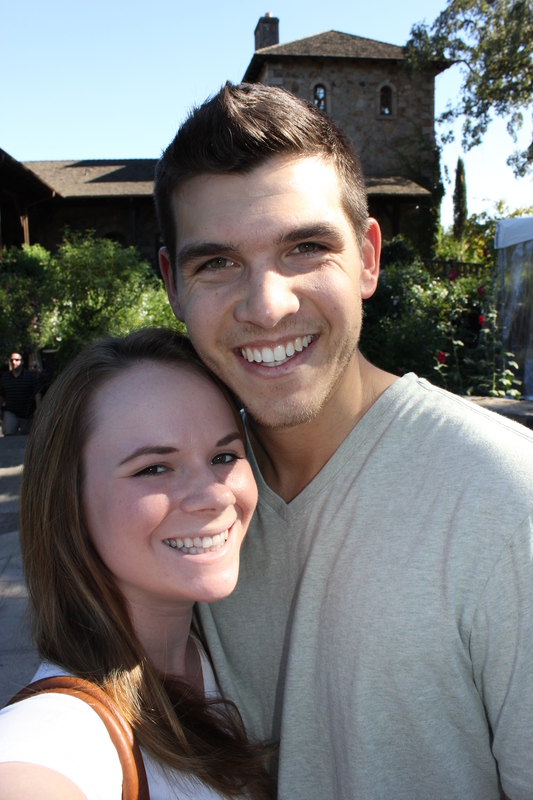 In 2 weeks and 2 days it will be our 1-year wedding anniversary!! We are soo excited to celebrate and can’t believe how fast time flies. We have the sweetest neighbors we could have ever asked for. We live in one of those neighborhoods where the neighbors always wave and stop by to say hello. We love it! Our neighbors across the street have been living in their house for 52 years and they are the most adorable couple. The little old lady comes over to visit once in a while to check in and normally brings treats. Recently, she stopped by to bring us freshly baked lemon bars as well as apples and figs from their yard. The lemon bars were delicious as well as the apples. Unfortunately, we weren’t able to try out the figs. Why, you might ask? Well, after she gave us the figs, I placed them on our beautiful granite countertops to enjoy later. The figs were sitting in one of those green containers that strawberries normally come in when you buy them from the grocery store. Fast forward a day, and CJ and I walk into the kitchen to make breakfast when we notice our worst nightmare (when it comes to our granite countertops) – one of the figs had exploded overnight and the purplish juice was all over the counter. I gasped in horror while CJ took control of the situation and had me wipe up the mess and spray it off. 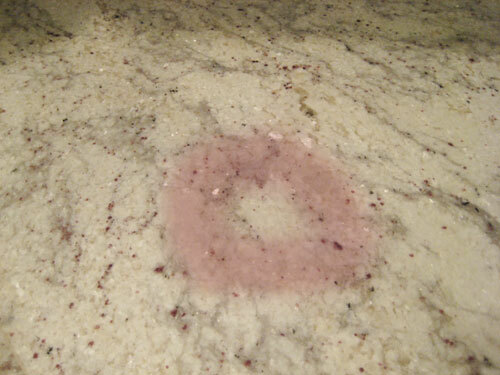 The juice completely stained our countertops a deep red. We were devastated. Apologies for not taking pictures of the “before”, we were too focused on addressing the issue to snap any photos. You can imagine that it looked something like this, except multiply the size by five, the color was darker and it was a solid stain, not a ring shape. 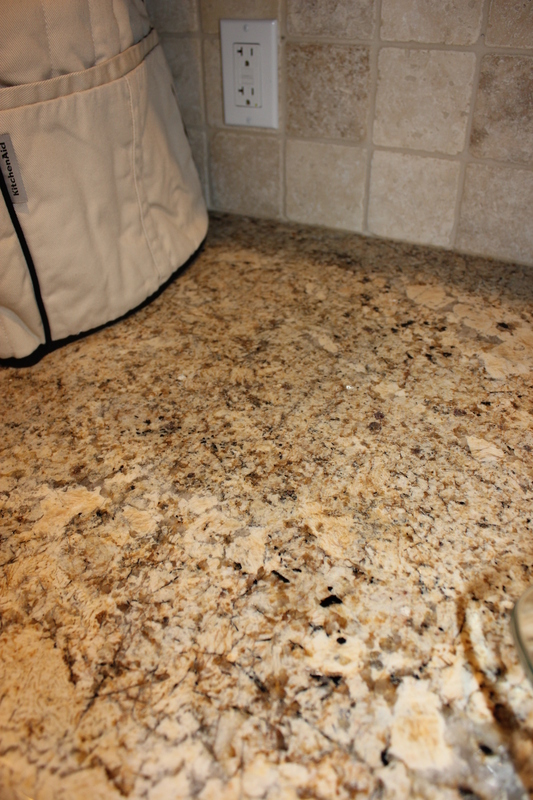 Example Granite Stain – Thanks to YoungHouseLove for the picture! CJ didn’t want to accept that our countertops would forever be stained so he “Googled” a home remedy to help take out the stain. He found a site that said to make a mixture of baking soda and water that was the consistency of sour cream. Since I’m an expert in sour cream (can’t eat a taco without that glorious food item), I consulted in the making of this concoction. When we got it to the desired consistency, we spread it over the affected area and covered it with plastic wrap (also in the directions). The site told us to leave it for 24 hours and then to clean it off. The following morning, we came in, cleaned off the area and amazingly enough, it worked! You couldn’t tell where it was stained at all. 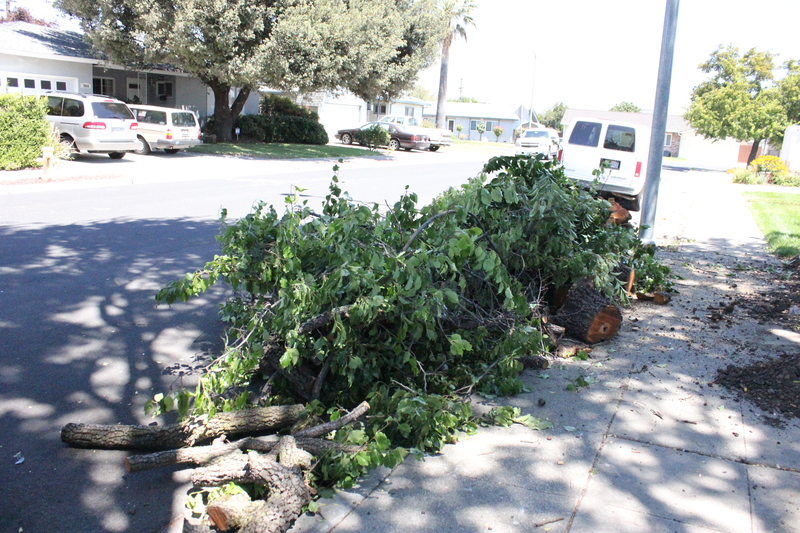 Here’s an “after” photo. Soooo if you ever stain your beautiful granite countertops, I highly recommend using baking soda and water to soak up the stain. It TOTALLY works. One morning this week, like every morning, I moseyed up to the window in our bedroom to peer out to the street. Most of the time, I like doing that to snoop on whatever is happening in the front of the house. Other times, I just like to admire the beautiful new grass we have on our front yard. Unfortunately, this morning, I was greeted with an unwelcome surprise. I walked up to the window and felt something bumpy under my toes. Our beautiful hardwood floors that we just refinished had bowed up a teeny tiny bit. I brought the ultimate judge (my mom) to assess the situation and she said that we caught it early and we’re lucky. Oh, and that it’s really not as bad as we think. That was a huge relief! Now, we had this problem when we first moved into our house which is why we chose to refinish the floors and replace those boards. Many dollars and weeks later, we had what seemed to be brand new floors. It took much longer to refinish the floors than we initially expected because it was really hard to get all the moisture out of the wood. Several times, the wood started bowing up before they could coat the floors. So they had to replace a few boards, pump up the heat in the house, and cross their fingers that the wood was in a condition to refinish. The fact that it happened after they were refinished wasn’t a huge surprise but we still didn’t expect this to happen. After some investigation, we concluded that this water damage is from our new sprinklers. The water was hitting the side of the house and, since the sprinklers went off twice a day, the soil didn’t have time to dry up. The water somehow got in under the house or through the side of the house and caused this damage. So, we immediately turned off the sprinklers, called up our local garden store, and ordered the plants that were in our landscaping plans to line the front of the house. We noticed a crack in the siding under the window and on the side of the house so CJ caulked it to seal the opening. We suspect that’s how the water got in to the floors. We kept the sprinklers off to let it all dry out and are hoping that the plants will soak up some of the water and block the sprinklers going forward. 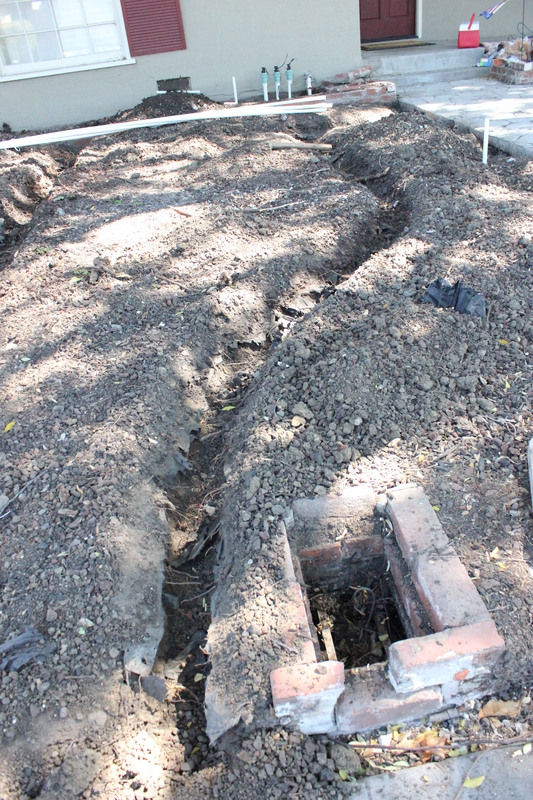 Our gardener came over the next morning to reposition the sprinklers so they didn’t hit the front of the house. Hopefully, that should fix the problem but as an added precaution, we might have some professionals come over next week to give us an estimate for lining the underside of our house with plastic to prevent any further damage. Stay tuned. 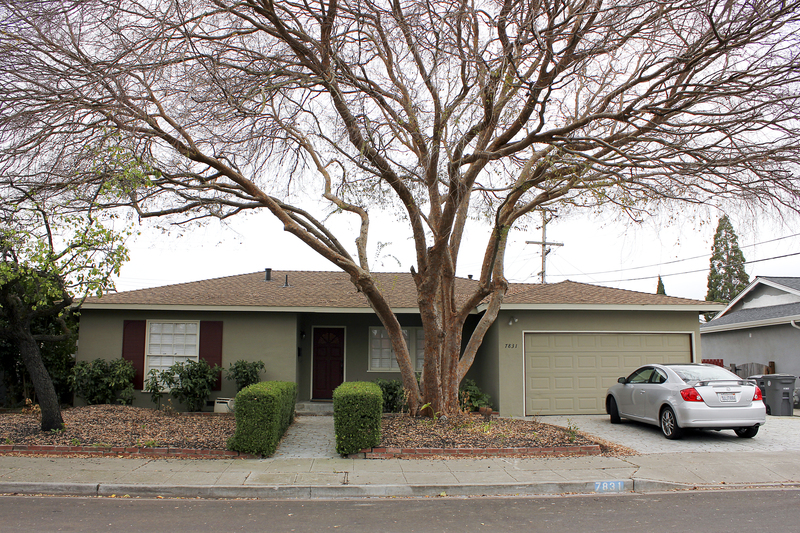 Curb appeal is very important for a house. I loved watching that TV show when I was in high school. It was so fun to see the before and after and it was amazing to see how much of a difference some paint and landscaping could make. First impressions are everything, and we wanted to make sure that the first time people see our house, it’s something we can be proud of. CJ has done an amazing job working on the yard over these past few months. 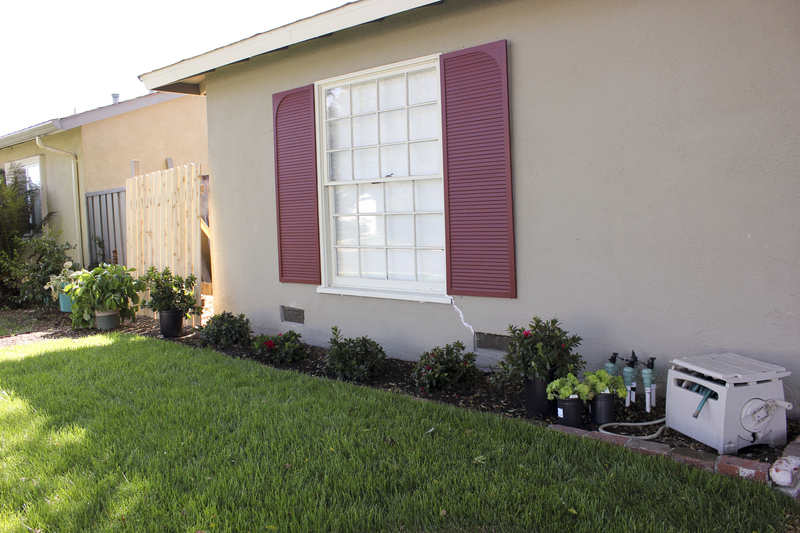 We had a ton of weeds, unwanted bushes, extra bricks, and other items preventing our yard from looking as beautiful as it could be. 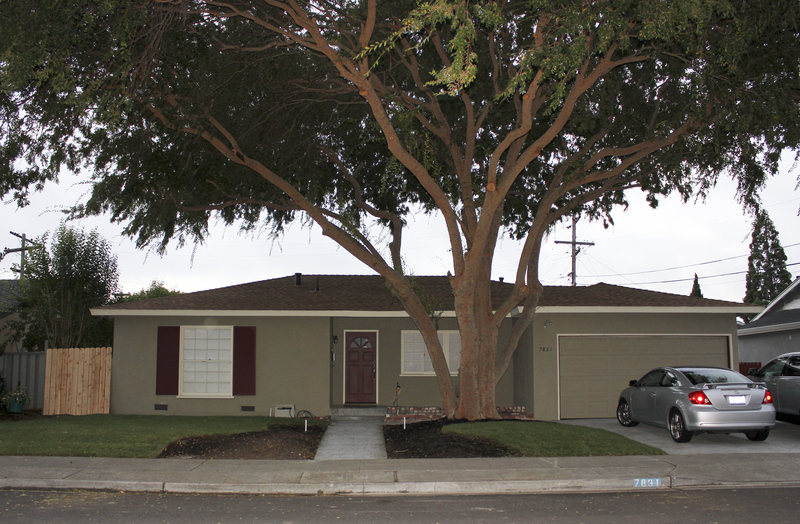 Thankfully, he was able to get our front yard to a blank slate so we could hire a landscaper to install irrigation and plant sod. I can assure you, our house looks nothing like that today! 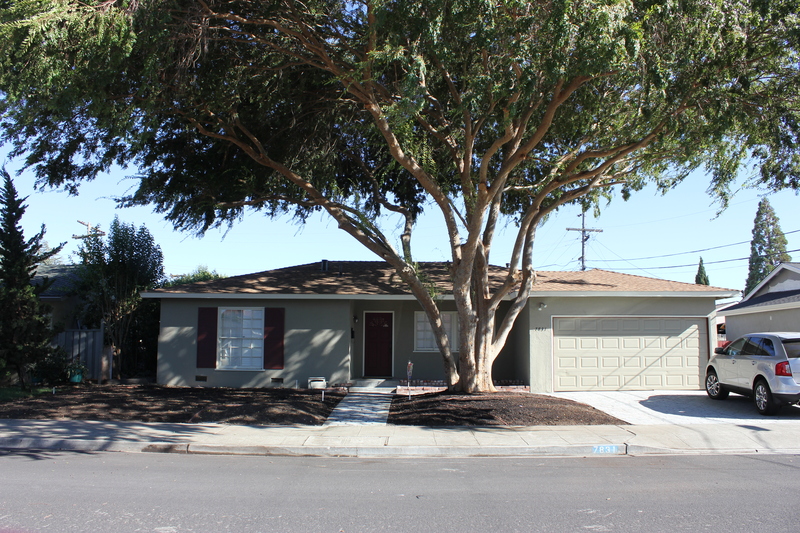 It’s amazing how big of a difference repainting a house (done before it was put on the market), removing a million juniper bushes, and giving it the love and attention it needed can make. One of our neighbors told us the original owner used to be a “seaman” and, because he was gone for months on end, he wanted a yard that was really low maintenance. I can understand wanting a low maintenance yard but, if I were him, I would have chosen something that looked a little less out of control. 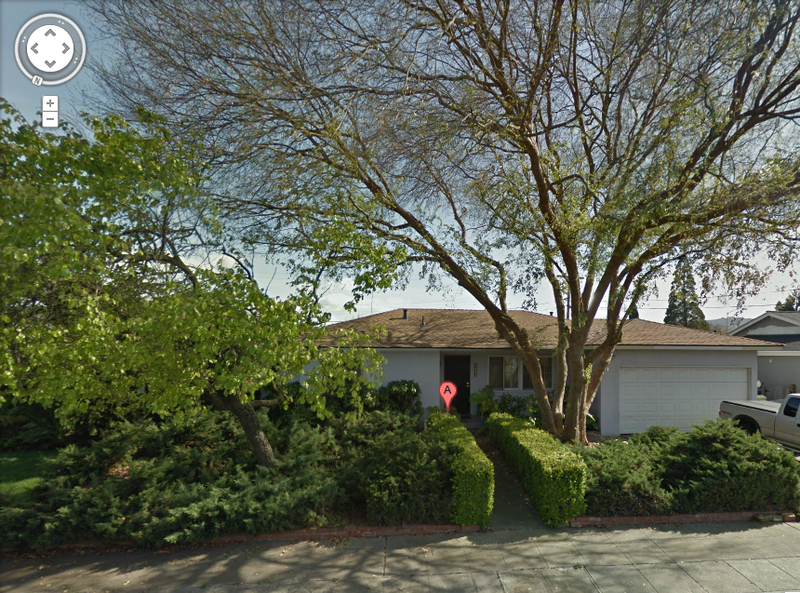 Our house looked like this when we bought it, a bit better but I’ve never been a fan of hedges. We have a ton of spiders so the most frustrating part was walking in between the hedges and into a dozen spiderwebs. Yuck. Plus, we had a ton of bark dust when we first bought the house but that was gone pretty quickly when the monster tree shed all its leaves and we tried to rake/blow away the leaves. That was one of the main reasons why we wanted grass – because we knew that would survive the constant raking of leaves that we will be doing each fall. As I mentioned in a recent post, we had plans made up for our front and back yard. Once we knew what we wanted done, we called up a few landscapers in the area to get an estimate on how much it would cost to add the irrigation and the lawn. It’s amazing how much of a price difference there was! We ended up going with my parents gardener because he gave us a price that was hard to refuse and we knew we could trust him since he’s been working on my parent’s yard for over 10 years. Relationships are everything. It took our gardener 3 days to do the whole job! Our front yard under construction! Getting the irrigation installed. It was pretty amazing that they could work so quickly and do such a high quality job. 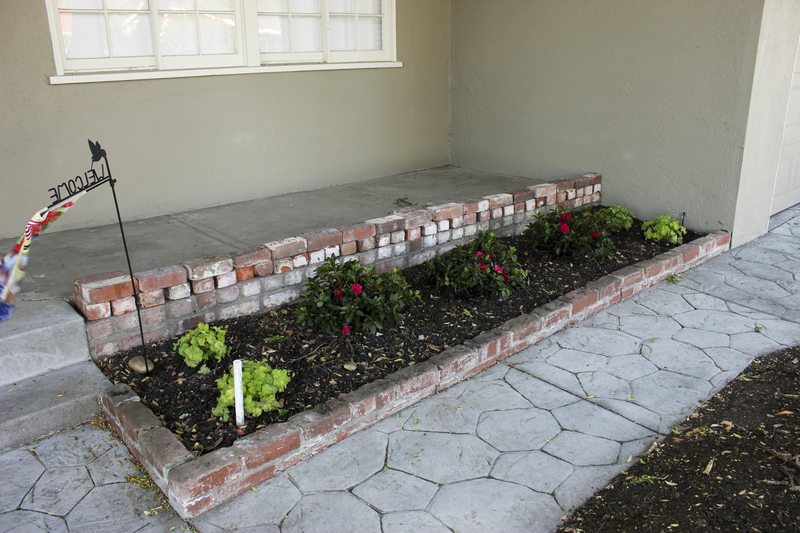 We can’t wait to plant the flowers and bushes which will really pull everything together. We’ll probably do that during the last week in August. Our new front yard with the grass! 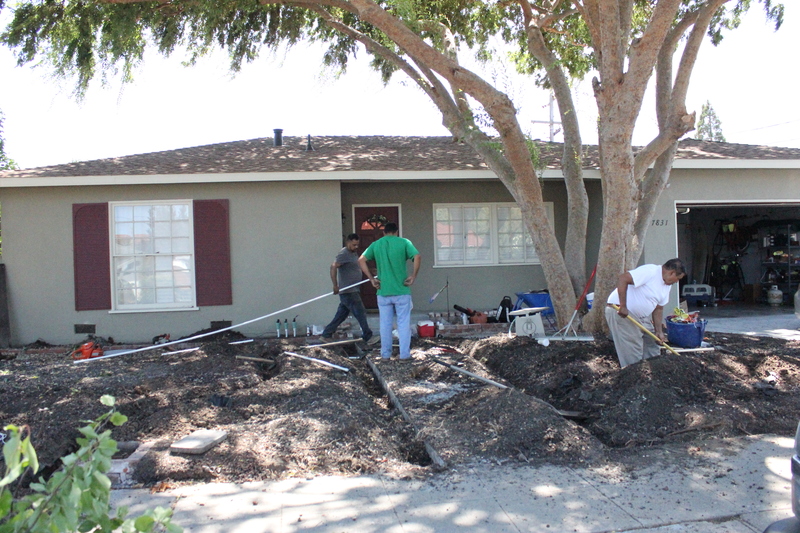 Our gardeners and CJ also removed some bushes on the left side of the house that were taking over the neighbor’s yard. Because it completely opened up the entrance to the backyard, CJ built a pretty snazzy makeshift fence. We’ll post on how he made it soon! It was his first woodworking project and we’re pretty proud of how it turned out. For the full effect, here’s the before and after! Can you believe it’s the same house!?!? Just wait until we have the flowers and bushes!